Most of us touch our smartphones and tablets dozens, or even hundreds, of times every day. That is a testament to the usefulness of these devices, but it also means the screens quickly become covered with fingerprints, smudges, old makeup, dead skin and various other detritus. In no time at all, the screen can become hard to read and quite unsightly. If you own a smartphone or tablet, you know how fast the device can go from pristinely clean to disgustingly dirty. 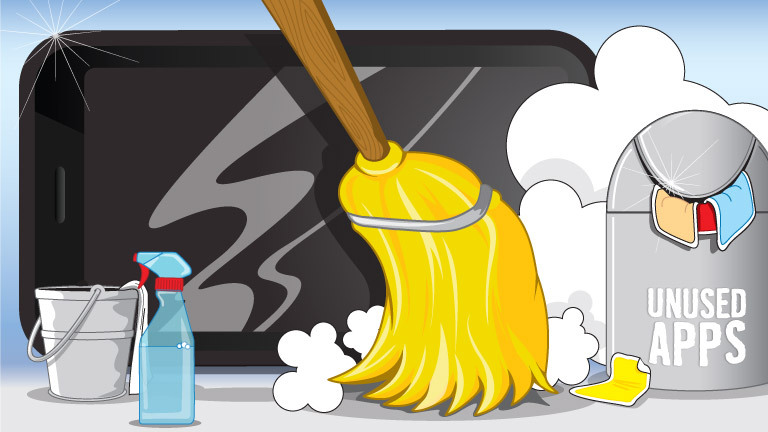 Whether you have a smartphone, a tablet or both, it is important to clean the screen properly. Using the wrong cleaning solution could damage the screen or even harm the device. No matter which device you are cleaning, your first step should be to turn it off and remove it from the charging station or power cord. You can clean the screen with a clean microfiber cloth, which is designed to remove dust, dirt and fingerprints without damaging the surface of the device. You can use the same kind of cloth to clean your LCD computer monitor and even your flat-screen TV. The dry microfiber cloth should be enough to remove all but the most stubborn stains, but if anything remains stuck to the screen, you will need to apply a bit of water. Never apply water to the screen itself. Instead, dampen the microfiber cloth with a small amount of distilled water — just enough to make the cloth slightly wet. Dab the stuck-on dirt with the cloth and carefully wipe it away with the dry surface. Knowing what to avoid when cleaning your smartphone or tablet screen is just as important. It might seem like a good idea to use glass cleaner. After all, your smartphone and tablet screens are made of glass. The problem is that commercial glass cleaners often contain ammonia, and that ammonia could damage the screen. Your electronic gadgets are worth a great deal of money, and it is important to treat them with care. A well cared for smartphone or tablet can provide many years of trouble-free service, but cleaning it the wrong way could damage it irretrievably and cost you a lot of money in unnecessary replacements.